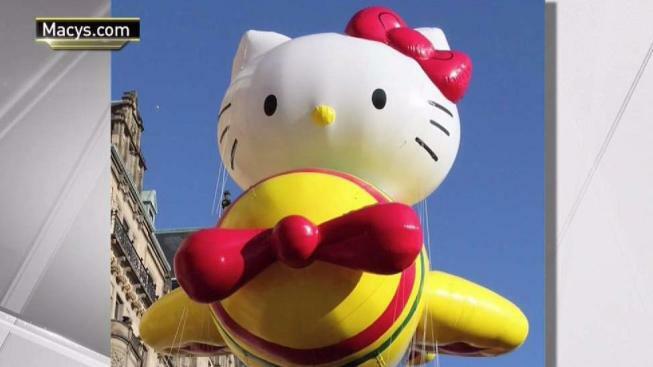 The iconic Macy's Thanksgiving Day Parade kicks off the holiday season with its annual march down the streets of Manhattan on Thursday, Nov. 23, featuring legendary 50-foot balloons, bands, dance numbers and celebs. Coverage starts at 9 a.m. on NBC in all time zones, and you can watch it all live at home on NBC or on the go via NBC Live. Matt Lauer, Savannah Guthrie and Al Roker of "Today" will anchor the broadcast. You can also live stream the parade on your desktop or laptop computer or your mobile device by clicking on this link. We've temporarily removed the need to log in with your TV provider credentials for the parade. The colorful procession will feature a star-studded cast, including 98 Degrees, Andra Day and Common, Sara Evans, Jimmy Fallon and The Roots, Flo Rida, Goo Goo Dolls, Kat Graham, Wyclef Jean, Bravo's Top Chef stars Padma Lakshmi and Tom Colicchio, Patti LaBelle and others. Broadway performances from the casts of "Anastasia," "Dear Evan Hansen" and other shows will highlight this year's broadcast.